• Make sure you have the same or similar brand name with the original fan from the air hockey table. This ensures that it will fit and that the specifications will work out just fine. 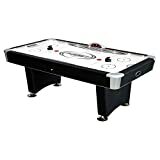 • The size of the table should also be proportion to the replacement fan for the air hockey table. Again, this makes it easier to install for the professional who will fix your air hockey table’s broken fan by replacing it. 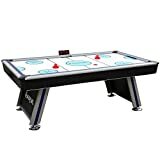 Most air hockey tables at home are around 5 to 7 feet while professional ones are usually from 7 to 8 feet in length. • Darts – can be played by yourself or with another one. The goal is to shoot the dart or arrow into the corresponding panel to score higher than the opponent or depending on the type of dart game you are playing. Most dart boards come in electronic scoring nowadays. • Foosball – it is a table version of football by which two players control each side of the field with lines or rows of football players (foosball players) to try and score a goal to the opponent’s side of the field, much like with regular football / soccer. 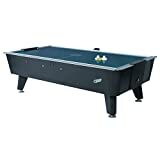 • Billiards / pool – the game of billiards or pool can be played solo or competitively and requires shooting all of the balls into the 8 holes of the pool table using the cue stick and the white cue ball to win the game. 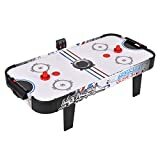 • Bubble hockey – it is a type of table hockey that is a little different from air hockey and more like foosball. It also requires gripping much like foosball due to the rows of players. It is a newer type of table action game. • Chess – one of the oldest table games out there, chess requires a lot of skill and planning to capture all of the opponent’s pawns and perform a checkmate. • Board games – there are many board games to choose from that are popular, such as Scrabble, Monopoly and the like. You can also add them to the recreational room for the kids and the entire family to play if they’re tired of physical games. • Arcade games – you can turn your recreational room into a mini-arcade room by adding arcade games such as basketball games and the like, especially if you have kids at home. This adds flavor and excitement to the room and maybe even more fun for the adults as well. • Casino games – if the recreational room is mainly for the adults then adding casino games such as poker tables would be great. Adding this table next to a mini bar or pool table makes your recreational room into a man cave of sorts. 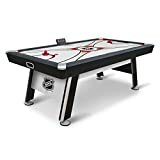 • Shuffleboard – you can also add shuffleboard to your recreational game room, but it should have sufficient space since shuffleboard tables can be pretty lengthy in space requirements. 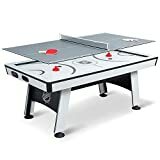 • Ping pong / table tennis – a ping pong table can be situated in your recreational room as well. Table tennis is a good sport and pastime as well to take out that extra stress from work or other problems and practices your reflex skills. • Going for a bigger puck size can make the puck harder to lift with the blower fan. • Going for a smaller puck size can make the puck easier to fly away from the table. • Pucks and mallets that are too big or too small for your table can make playing uncomfortable. • Keep food and drinks away as much as possible. • Always inspect the table for cracks and dents. • Use glass cleaner instead of wax polish for the surface to avoid clogging the fan. • Clean the air holes of the fan once a year to avoid fan failure. • Inspect all of the bolts and make sure they aren’t too loose or too tight.